Mom's Gone Bronson! : Fairground fun, as summer starts winding down! 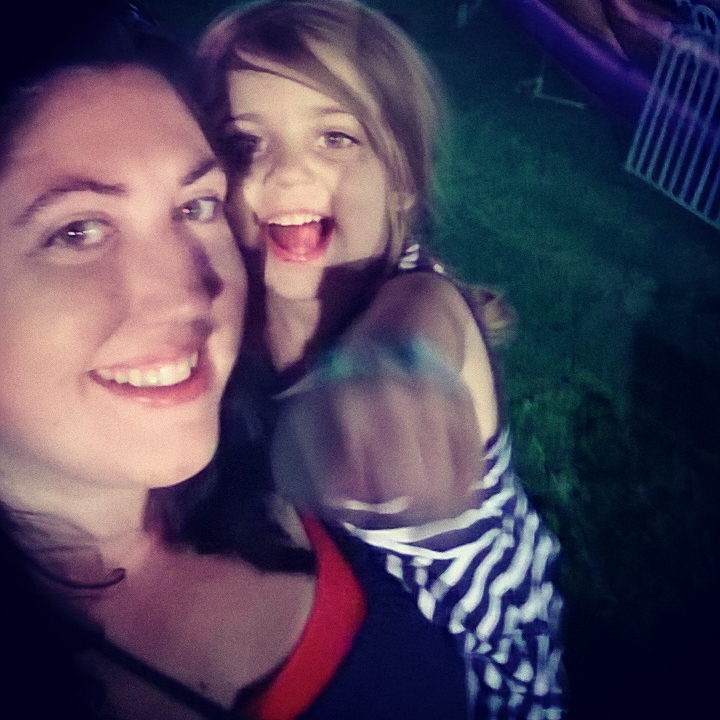 Fairground fun, as summer starts winding down! 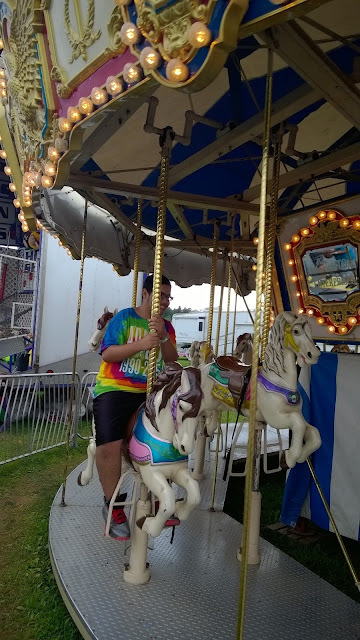 We went to the last day of the fair, myself and a friend, with 5 kids and a stocked bag full of munchies! We left early, to make a day of it and made sure the kids all got to have turns on age appropriate rides and I had the most fun on the dodgems and Ferris wheel, which I haven't been on in I don't even remember how many years! We stopped to look at the animals, admired the cows and reminisced about how smart pigs are and how I would like to get one! My son got a kick out of the sheep and he tried out his first merry-go-round and enjoyed his first big fair! We took turns watching the kids do everyone, even us old fogies, got to have some of the fun and adventure! My friends son had the absolute time of his life and had a grin etched in his face the entire day and her daughter was not about to say no to anything and she was a delight! My daughter wanted to go on the big rides, with me, rather than the smaller rides on her own and she truly enjoyed it! The day went on until the fair closed at ten and we were home eating pizza by 11pm. It was such a late night last night, but absolutely worth it, especially as we had no reason to get up today, so a lovely pajama Sunday was had by all! 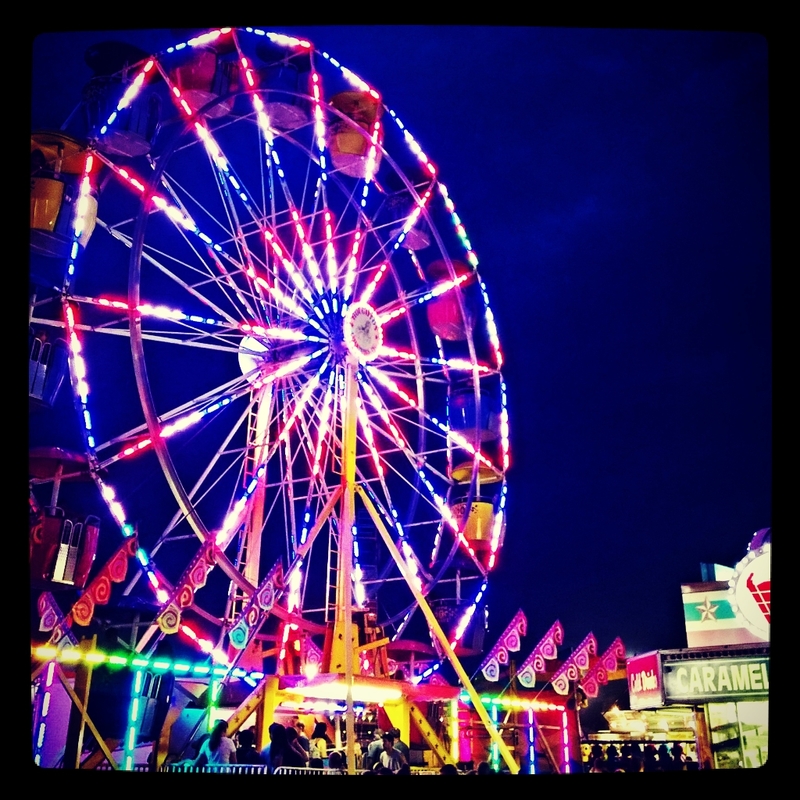 If you can catch a fair before the summer is out, I absolutely recommend it! Here's to making memories! Blaze and the Monster Machines DVD Giveaway! Make the #SwitchtoSheba today! + Giveaway!